Vodafone is offering a cashback of Rs 2,200 on the Micromax Bharat 2 Plus, Micromax Bharat 3, Micromax Bharat 4 and the Micromax Canvas 1 smartphones. 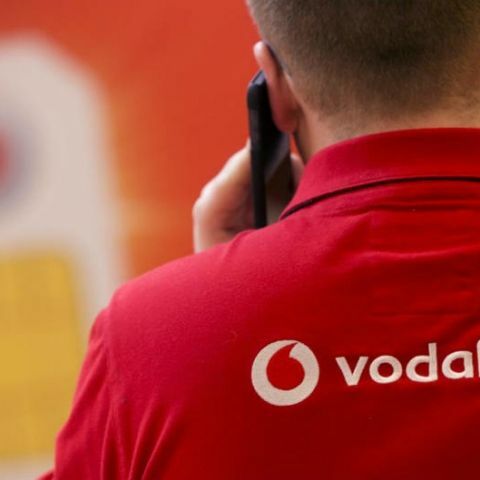 Vodafone has announced its partnership with Micromax and is offering a cashback of Rs 2,200 on some select entry-level Micromax 4G smartphones. The telco is offering cashback on the Micromax Bharat 2 Plus, Micromax Bharat 3, Micromax Bharat 4 and the Micromax Canvas 1 smartphones. To be eligible for the cashback, customers purchasing any of the aforementioned phones have to perform a minimum recharge totalling up to Rs 150 per month for 36 months. Users will receive a cashback of Rs 900 after 18 months and another cashback of Rs 1,300 after another 18 months. This brings the total cashback to Rs 2200, which will be credited to the customer’s Vodafone M-Pesa wallet. The Micromax Bharat 2 Plus was announced at a price of Rs. 3,749, but after subtracting the total cashback, it’s effective price comes down to Rs 1,549. Similarly, the Micromax Bharat 3 and the Bharat 4 were announced at a price of Rs 4,499 and 4,999 respectively. However, their effective price comes down to Rs 2,299 and Rs 2,799 after the cashback. Finally, the Micromax Canvas 1, which is priced at Rs. 5,999 will get an effective price of Rs. 3,799.
micromax better than samsung???? as far budget smartphones are concerned? ?